NAMBOOLE – Two goals in either half by Bashir Mutanda were enough to propel SC Villa to a 2-0 victory over Express FC in the StarTimes Uganda Premier League. In a game that was not well attended, Express dominated the early exchanges but could not breach the Villa defence, much to their (Express) wastefulness in front of goal. Mutanda fired into the roof in the 24th minute from close range after he was played in brilliantly by Ashraf Mandela on 24 minutes. The striker later doubled his and Villa’s tally on the hour mark, turning in Derrick Ndahiro’s cut-back. It could have been worse for the Visitors, as Mutanda and substitut Mike Sserumaga could not convert from excellent positions. 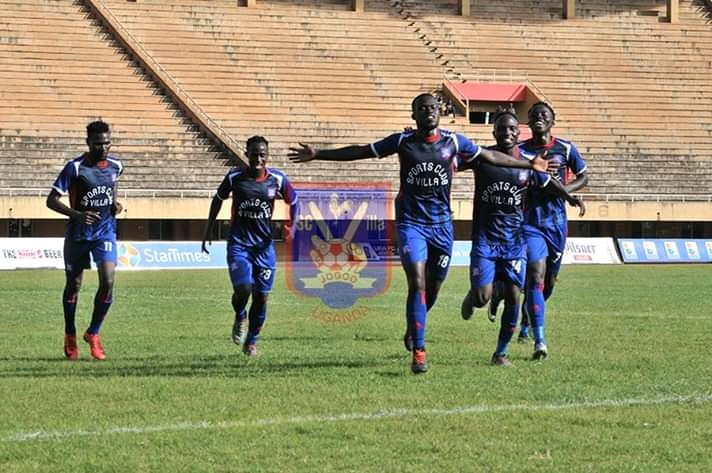 The victory lifts SC Villa to 13th place with 12 points from 12 games. This is Villa’s second win of the season with the first coming away to Nyamityobora in head coach, Douglas Bamweyana’s first game in charge. Express Pay for wastefulness in front of goal. Express FC looked clinical against KCCA FC but the team that was missing Michael Birungi, were blunt against SC Villa. The side were not ruthless as they dominated the first 15 minutes with Tony Odur, Ibrahim Kayiwa and Eric Kambale failing to convert while inside the box. Coach Kefa Kisala brought on Mubarak Nsubuga, Joel Mbabali and Davis Mayanja but the side didn’t put the ball in the back of the net. Kambale headed direct to the keeper before taping in a weak effort a minute later from Nsubuga’s cross. Kayiwa also had his attempt easily collected by Samuel Kivumbi. The loss is the fourth for Express FC this season. The side has won four and drawn as many.